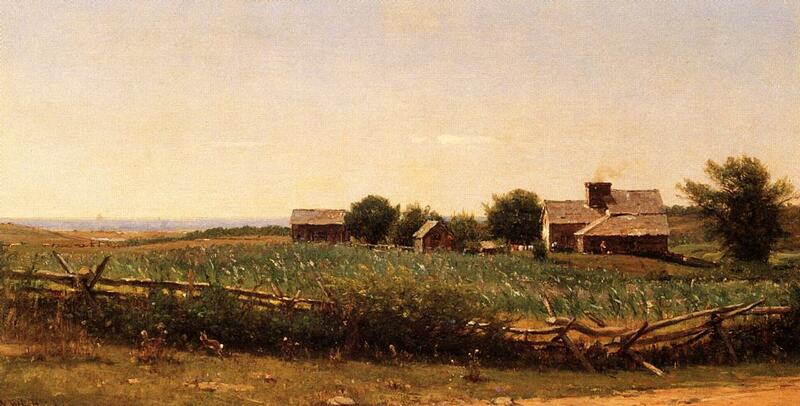 Farm by the Shore, c. 1881, oil on canvas, by Ohio native Thomas Worthington Whittredge (1820–1910). Courtesy of The Athenaeum. “It is the particular virtue of ‘The Egg,’” wrote Irving Howe in 1951, “that while each paragraph seems comic its total effect is one of great pathos.” Fifteen years later, Howe would affirm, “‘The Egg’ seems to me one of the greatest stories ever written, a masterpiece of grotesque pathos that will live as long as the English language survives.” Howe also emphasized Anderson’s (and the story’s) notable debt to Mark Twain. 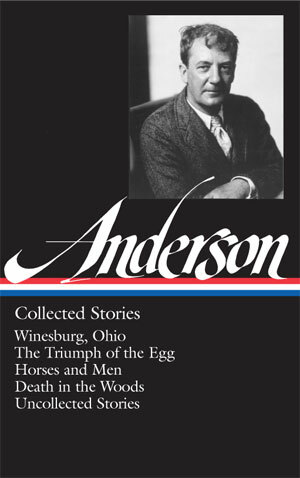 Similarly, although William Faulkner would later satirize Anderson, he called him “the father of all of my works” and acknowledged in the same breath that Twain was the writer who influenced them both. Note: On page 237, there is a reference to a legend about Christopher Columbus that dates at least to the sixteenth century. Columbus is said to have challenged fellow diners to stand an egg on its end, a feat he then accomplished by cracking the shell at the tip. Free audio: This selection is accompanied by a streaming audio version, read by the best-selling novelist Rick Moody. My father was, I am sure, intended by nature to be a cheerful, kindly man. Until he was thirty-four years old he worked as a farm-hand for a man named Thomas Butterworth whose place lay near the town of Bidwell, Ohio. . . . If you don't see the full selection below, click here (PDF) or click here (Google Docs) to read it—free!